Recently released Palestinian political prisoner Yousef Abu Ghoulmeh, freed in late July 2012, shared a prison cell with Ahmad Sa’adat for nearly three months following the end of the prisoners’ hunger strike – and Sa’adat’s release from isolation. 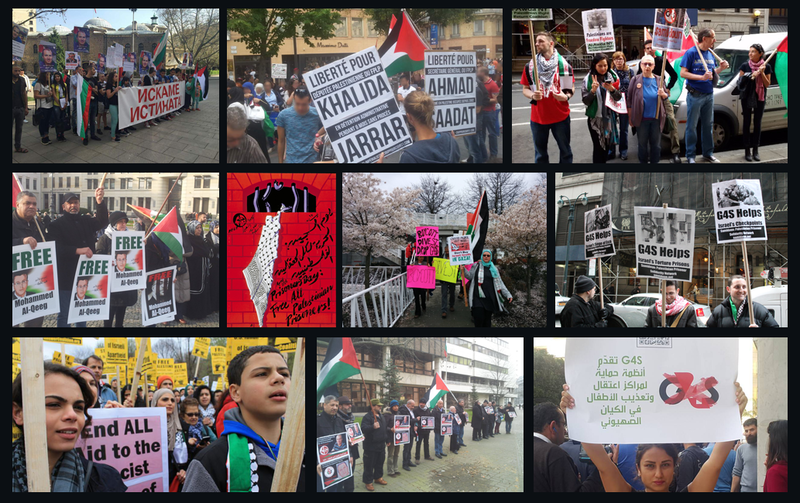 Abu Ghoulmeh spoke with Voice of the People radio station on August 4, 2012, discussing Sa’adat’s comments, political insights, and the current situation of Sa’adat and his fellow Palestinian political prisoners behind occupation bars. Abu Ghoulmeh said that Sa’adat urged the Palestinian masses, and all Palestinian political and social forces and organizations to engage in mass mobilization and take the streets, demanding an end to the Palestinian internal fragmentation and division, emphasizing the harm such division caused to the Palestinian national movement. He noted that Sa’adat emphasized that Hamas and Fateh have particular responsibility to bear to end the state of division. Centrally, Sa’adat urged, the end of division can only come through a united front to expose the crimes of the occupation and build resistance through all and varied forms of struggle; there is no hope or future in absurd negotiations, said Sa’adat. In particular, he noted that the Israeli government will often engage in forms of political blackmail and machinations including promises of releasing prisoners, some who have been imprisoned for decades, in order to spur further pseudo-negotiations; he denounced any participation in such schemes as engaging with an occupation deception that will only harm the Palestinian national cause. Abu Ghoulmeh further said that Sa’adat urged Palestinian political forces to make strong efforts to free all of the Palestinian prisoners behind occupation bars, and to prioritize the prisoners’ case as part of the Palestinian struggle to regain the people’s land and rights. Sa’adat asked Abu Ghoulmeh to convey his greetings to the Palestinian people, inside Palestine and in exile and diaspora, and particularly Palestinian refugees in the camps, struggling to return, especially those in Lebanon, Syria and Jordan facing difficult circumstances. 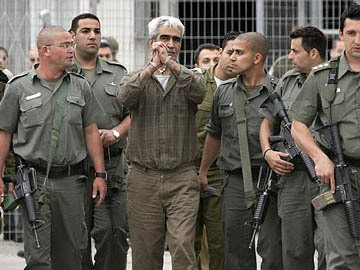 Sa’adat is strong and healthy despite his repeated hunger strikes and lengthy isolation and imprisonment, reported Abu Ghoulmeh, noting that throughout their time sharing a room at Gilboa, Sa’adat was steadfast and vital, filled with enthusiasm, and never lost hope in Palestinian victory. Abu Ghoulmeh also provided an update on the current situation of Palestinian political prisoners behind bars, nearly three months following the end of the mass hunger strike of April-May 2012. He noted that the occupation authorities are continuing to fail to implement the agreement with the prisoners, and have not come through on promised improvements to living conditions, continue aggressive late-night inspections and ransacking of cells, abusive methods of transfer of prisoners, and denial of family visits under security pretexts. In addition, Abu Ghoulmeh reported that administrative detention without charge or trial continues at the same level as prior to the strike, saying it was a mechanism of the occupation to pressure the Palestinian people and Palestinian freedom fighters.